We Left Luton airport on board the First Choice 767 aircraft heading for Male. Good airline, lots of legroom and the food was very good. Ten hours later we landed in the Maldives. We did not have to look around for our contact there as they found us first. A one hour stopover (quick beer and a look around) and then boarded the Dash8 22 seater aircraft bound for Gan. 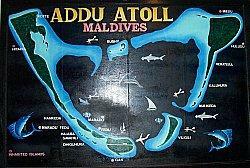 Overflying all the Islands and atolls on the way down was amazing, hard to describe unless you were actually there. The colours were out of this world, and a beautiful azure sea as I’m sure you all remember. A lot more of the islands were inhabited as we flew over them and they are building a lot more resorts over the next few years. 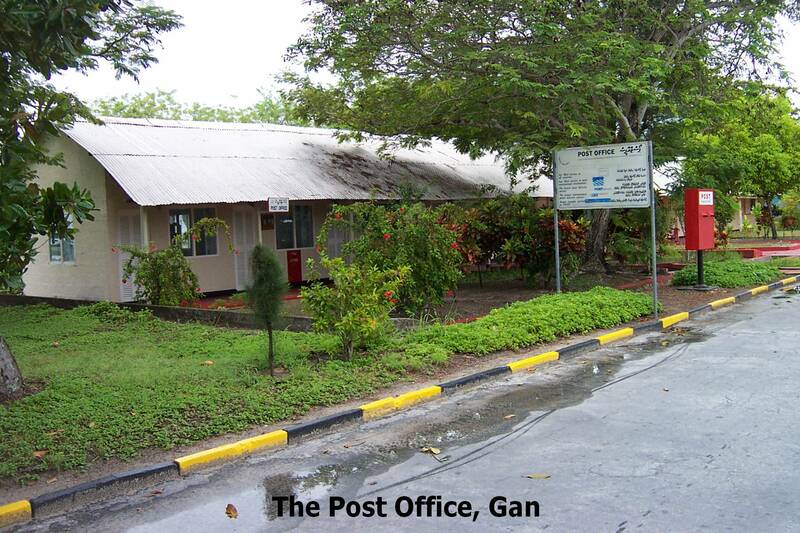 We landed in Gan an hour and a half later (35 years to the day since I first arrived back in 72) and after a five minute drive arrived at the old sergeants mess which is now a hotel and has been extended etc. so you would never recognise it as the sergeants mess of years ago. We went down to our room, which was a bungalow next to the beach, had a shower and then went out to the pool to cool down. A few beers later I was laid by the pool and thought I had never been away. What I had forgotten was the utter peace of the place. The only thing we could hear was the sound of the waves on the shore and the odd chit chat twittering away. Heaven! Had an early night because we were both utterly knackered and then we were both wide awake at 0300. Still we saw a cracking sunrise to make up for it. We had breakfast at 0700, anything you wanted (within reason) and then off for a wander around. First place we went was the MCU jetty as I saw it from the car on the way to the hotel. 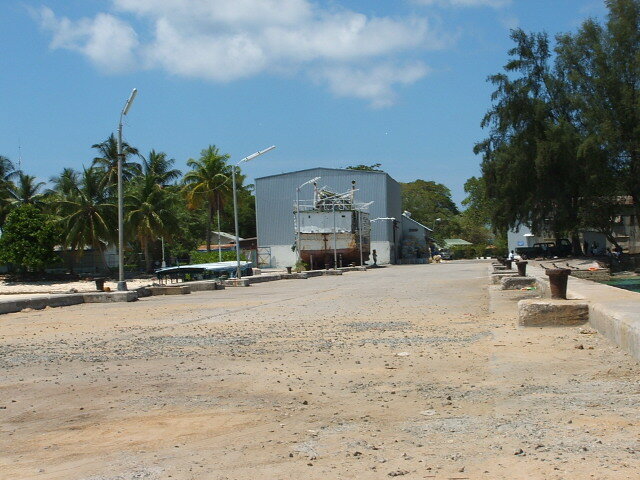 Nothing has changed, even the MCU hangar was still there with a boat on the slipway that looked as though it had been there forever as it was falling to pieces. Went up to the Astra cinema, the sign is still on the front of the building. It didn’t look as though it was in use any more as when I looked through the windows on the front doors there was litter in the foyer. There was a photo on a notice board inside the front door, which I think had been taken by Lawrie “Geordie” Dodds when he was out there a few months earlier. How it finished up in there is anybodies guess. He has been out to Gan three times so far. Couldn't get around to the 6 SU/ATC buildings as it is now part of the airport complex and it was all fenced off and guards on the gate. The Blue Lagoon transit lounge was still intact although it was stood empty and looked a bit tatty and where the fence was that we all used to lean over drooling over any available female had gone, and there was a building stood in its place. The sea fed swimming pool that was behind the 180 Club was still there, although not in use, and alas, the 180 Club was now divided up into offices etc. and unable to get around to it as there was a guard post there to stop any unauthorised entry. The church is now a mosque with a loudspeaker on the top of it, which used to go off at regular intervals with the Imam calling everyone to prayers every few hours. 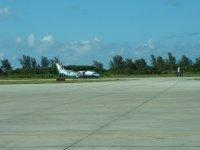 We could not get across to the other side of the island, as you could not cross the runway due to guards/barriers etc. So basically, we were restricted to one half of the island, but it did not bother us too much. There was still plenty to see. 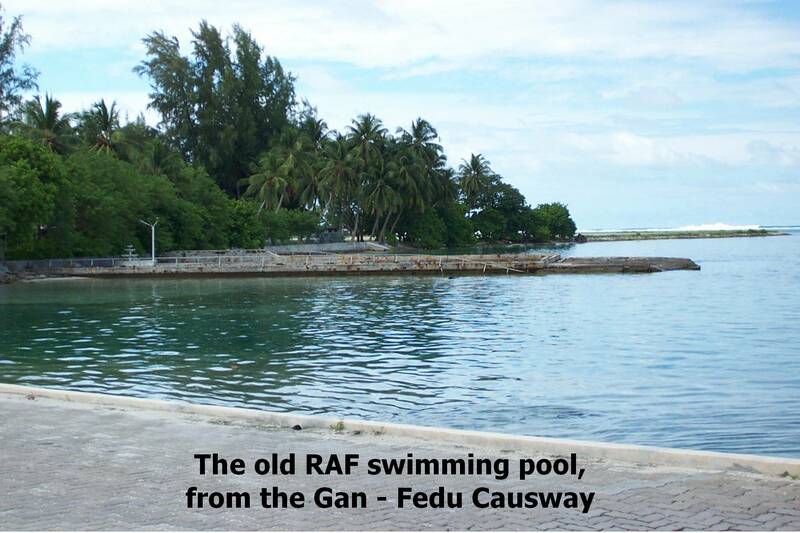 The causeway that was in ruins when we were there back in the 70s was now a two lane raised road running across to Fedu. Back in the 70s the water really used to flow fast and deep through the causeway channel as it was on legs, but with the design of the new one it is concrete all the way down to the seabed with narrow openings every so often to let the water through and the water was really shallow. A couple of days into the holiday I paid one of the locals $25 to use his Honda 90 for the day. No red tape or "Elf an Safety" out there lads. So, with no helmets etc. we just rode off with the wind and sun in our faces. We went across the causeway to Fedu and then on up to Hittadu. The old transmitter site that was up there has long gone and a power station built on the site where it used to be. The roads are in excellent condition, all tarmaced and lined. It was like being back in the UK, but without the cold and rain!! We had a good day out on the bike and took quite a few photographs. 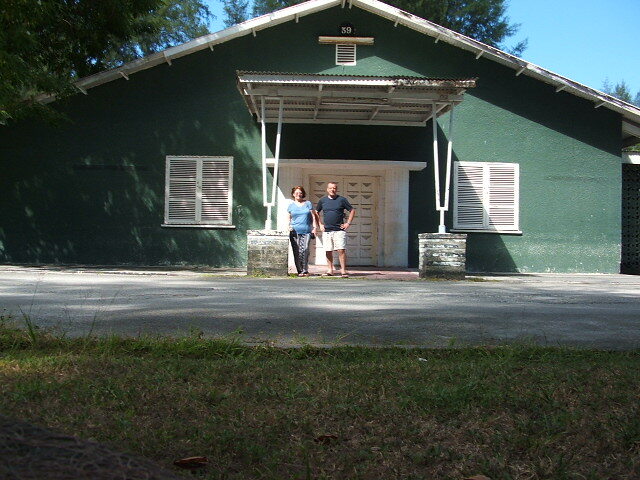 When we got back to Gan I dropped Ann off back at the hotel and went for a ride on my own just to have a look for some of the old haunts. I saw one block (see page 3) from the road that looked in quite good condition so drove up the drive to have a look. It was block number 37 according to the number on the end of the building. Just as I went to get my camera out a local male came up to me, he was the owner of the block. We got chatting and he invited me in to the block, which was now his house. Imagine having a whole block for a house, amazing. Where all the shower blocks had been and the laundry section that the room boys used he had converted into bedrooms and other living rooms. I was well impressed. I stayed chatting and looking around for about half an hour or so before I finally took my leave and went on my way. At sunset we went out on the causeway to watch the sunset. Marvellous! Just as I remembered it, only way back then, I don’t suppose I took as much notice of them. Have some brilliant photographs which I will upload and put a link in when I have the chance. On day six, the manager came to see us mid morning and asked us if we would mind leaving a day early. The first thought in my head was “What the bloody hell is he talking about!” After I had calmed down, he explained that they had overbooked and if we did agree he would book us in to Embudu Village that was another resort on an island just a few miles from Male. We would have had to leave the day after anyway as we were booked into a hotel in Male for the last night originally as the return flight was early in the morning, and we could not leave Gan and get to the airport in time on the same day. We told him we would think about it and let him know. It took Ann about thirty seconds to make up her mind, so off we went to see the manager and told him OK. 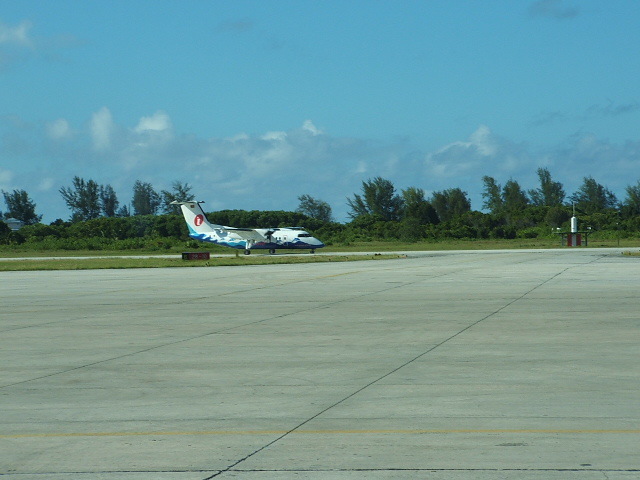 The following morning we flew up to Male, where we were met off the plane by a rep from the hotel. 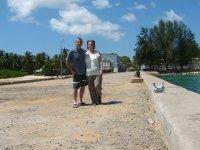 All the bags and baggage were taken out to the jetty where the launch was waiting to take us to the resort. It took about 45 minutes to get to the island and we couldn’t get over how small it looked. We later found out it was just 300 yards long by 150 yards wide. So for the next two days we did nothing but sunbathe, swim in the warm sea and have the odd beer!! So after two days really chilling out it was time to leave. Speedboat to Male, took 15 minutes (a bit quicker than the launch we went out on!) Then wait for the aircraft to take us back to UK. Landed at Gatwick and it was freezing. We left a temperature of 34 Deg to come back to a temperature of 5 Deg, Brrrrrrrr!! Well what can I say, Bloody marvellous holiday! Click on link below to see some pictures. The above photos are courtesy of Dave Beardsell who was back out in Gan in 2003. The MCU jetty where all the unsuspecting "Moonies" used to wait for the ferry to the Bushy Island Disco!